It’s the largest antitrust fine ever imposed by the European Commission (EC) and nearly double the last antitrust fine Google received over alleged abuses in shopping search. Earlier today, the EC announced a €4.3 billion (roughly $5 billion) penalty and ordered the company to change how it conducts business with Android phone makers. The EC has given Google 90 days to make the required changes to its business practices or face additional, substantial fines. The money is significant, but the larger issue is Google Play and its role in the Android ecosystem. Phone makers, like Samsung, that want access to Google Play are required to preinstall a number of Google apps, including search, Maps, Chrome and others. Google argued in a blog post today that this practice is beneficial to the ecosystem, including app developers and consumers, and enables the company to offer the Android OS for free. Accordingly, the company is implying that without app bundling, it couldn’t offer Android for free. I believe, however, that if Google were to decouple Google Play access from app preinstallation, as it’s being ordered to do, Google app usage wouldn’t measurably suffer. I also don’t think its ad revenues would be significantly impacted. Fine of €4,34 bn to @Google for 3 types of illegal restrictions on the use of Android. In this way it has cemented the dominance of its search engine. Denying rivals a chance to innovate and compete on the merits. It’s illegal under EU antitrust rules. @Google now has to stop it. The company might need to spend money marketing its apps in a way that it does not today. The change would also enable phone makers to extract fees and payments from developers and publishers that wanted a privileged or “default” position on phones. Samsung, for example, could potentially sell default mobile search to Microsoft for billions. Google is concerned about Android fragmentation and losing control over the developer ecosystem. That would hurt Android’s ability to compete with the iPhone in Europe and the US especially. Android’s global market share is roughly 75 percent, but about 50 percent in the US, according to various third-party estimates. 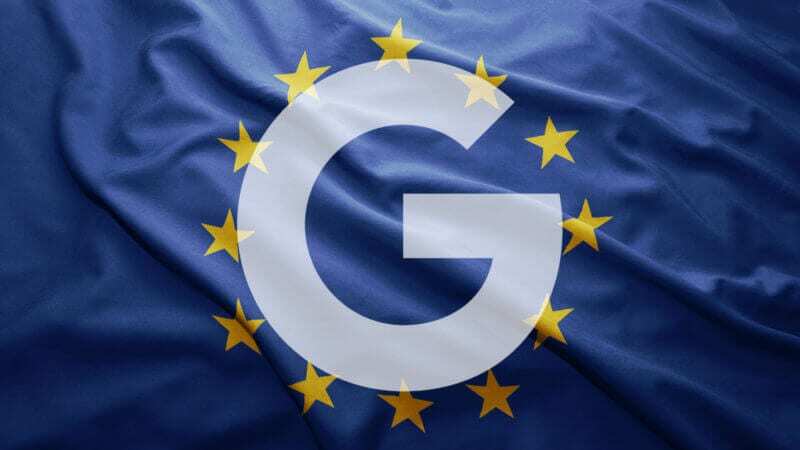 The EC believes that the Google Play app rules harm competition and maintain Google’s dominance in mobile search and other services (e.g., Maps). Phone makers technically can use Android without preinstalling Google’s apps, but they need to give up Google Play. Amazon has done this, using a modified version of Android and creating its own app store. So have some Chinese handset makers. In China, there are numerous popular third-party app stores. Most phone makers outside of China are not in a position to risk losing Google Play, which would all but guarantee a competitive disadvantage in the market. In 2007, we chose to offer Android to phone makers and mobile network operators for free. Of course, there are costs involved in building Android, and Google has invested billions of dollars over the last decade to make Android what it is today. This investment makes sense for us because we can offer phone makers the option of pre-loading a suite of popular Google apps (such as Search, Chrome, Play, Maps and Gmail), some of which generate revenue for us, and all of which help ensure the phone ‘just works’, right out of the box . . . The free distribution of the Android platform, and of Google’s suite of applications, is not only efficient for phone makers and operators — it’s of huge benefit for developers and consumers. If phone makers and mobile network operators couldn’t include our apps on their wide range of devices, it would upset the balance of the Android ecosystem. So far, the Android business model has meant that we haven’t had to charge phone makers for our technology, or depend on a tightly controlled distribution model. An appeal of the decision could take several years. I also suspect that Google’s arguments will be unpersuasive to European courts, where Google is more likely to be seen as a threat to domestic industries than a source of jobs and economic growth (as in the US). There remains one outstanding antitrust case involving terms in AdSense publisher contracts. However, Yelp has asked the EC to open a new investigation into Google’s dominance of local search in Europe. Current EU Competition Commissioner Margrethe Vestager’s term will soon be up, and there’s a possibility she will not be reappointed because of internal politics in Denmark, where her party is in a weakened position. The post Google hit with largest-ever $5 billion antitrust penalty in Android case appeared first on Marketing Land.